In addition to my editorial work and speaking engagements, here are a few projects that I’ve also been involved in. 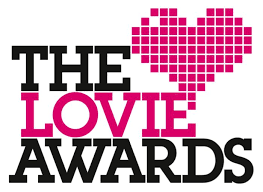 Over the years I’ve sat on multiple judging panels for different awards, including the Knomo Award, the Webby Awards, the Lovie Awards and the Guardian Student Media Awards. In 2011 - 2012 I worked with Shop Direct and Very.co.uk on their new “V Team” – a group of experts that helped Very.co.uk shoppers with recommendations. I joined the team as their technology expert (additionally there was also an expert for interior design, fashion and beauty). The V-Team answered daily questions from customers on the Very.co.uk Facebook page, spoke at live customer events around the UK, and also gave regular shopping recommendations in the Little Woods and Very catalogues. We also launched a competition in partnership with Northern & Shell to find a fifth member of the V-Team, that resulted in a televised make-over, and television advert with Very.co.uk ambassador, Fearne Cotton. In 2011 I launched a pop culture video series called The Pop Hive. I wrote and presented each episode, and interviewed interesting women, from DJs to beer experts. As I was very new to video production and presenting, The Pop Hive was a huge undertaking – and although it only lasted one season, I am very proud of the work my team and I put into it. Me with some of The Pop Hive’s first guests, The Broken Hearts – Amber Butchart and Nisha Stevens – (above) and Angel Adoree from The Vintage Patisserie and Escape to the Chateau.